We are greatly saddened by the passing of Parekura Horomia, a great Māori leader and politician. He will be remembered for tireless work and achievements for Māori and non-Māori alike. Our thoughts and prayers are with his whānau and colleagues as they gather to honour and farewell him. There have been changes for us at the New Zealand Council of Christian Social Services, our skilled policy advisor and writer of the Vulnerability Report and Policy Watch Philippa Fletcher has left us to live in Papua New Guinea for three years. We wish our friend and colleague Philippa all the best in her new life in those sunny climes! Another skilled advisor, Sonia Scott will be starting work on the week of May 13. Sonia has a strong policy background having worked in the Ministry of Health – including a number of secondments into Ministers’ Offices in private secretary and advisor roles. Sonia is returning to the workforce after spending time at home being a mum to her son – as well as working part time at the Ministry of Health and completing her Masters in Public Policy at Victoria University! With Philippa having left us and Sonia yet to start this is a shortened version of Policy Watch – it’s hard to match Philippa’s excellent approach! However, we will be back in the swing of things shortly so we ask for your patience as we bring our new friend and colleague into the Policy Watch role! Is there life after the Community Response Fund? Community Response Fund ends but the needs are not ending nor do the responses developed by communities want to end when they are still needed – but will they have any choice? More than 20 budget advisors with the Salvation Army face having no more funding for their work despite 230% increase in demand for budgeting advice. While Minister Bennett is hinting that something might be in the pipeline for budget advisors, we wonder if she is talking to her colleague Senior Citizens Minister Jo Goodhew? 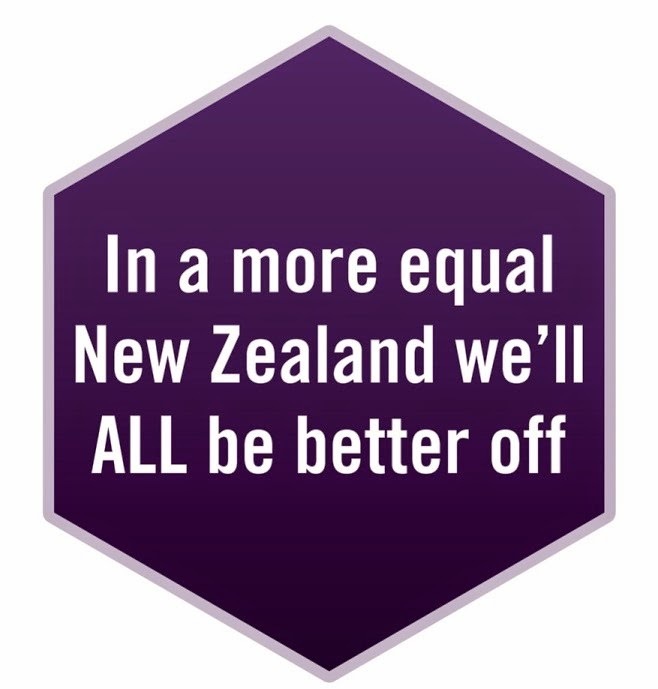 Minister Goodhew has made elder abuse and neglect one of her priorities as a Minister yet AgeConcern elder abuse and neglect services are facing funding cuts meaning that the people most at risk are the ones who bear the brunt of funding cuts. Meanwhile Minister Bennett remains convinced that Future Focus reforms are making a difference and that welfare reforms are working for young people. Our recent Vulnerability Report asked whether people are really moving on to a better place or simply finding much needed support harder to get? Grey Power is leading the charge (excuse the pun) on electricity pricing. Energy campaigner and Grey Power spokesperson Molly Melhuish was one of the first to point to the electricity surplus and ask the question – why aren’t power prices dropping? Grey Power is calling for electricity to be recognised as an essential service managed in the interests of consumers. “Fuel poverty” is when poor energy efficiency, low incomes and high power prices combine to make life miserable for hundreds of thousands of people in low income households, including many older people and children. The CommunityEnergy Network is running the WarmerWinters campaign calling for 900,000 more homes to be properly insulated . Policy announcements by both Labour and Greens have seen the debate become a central political issue, arousing the fury of the Government calling it economic sabotage People on low incomes who cannot afford to buy shares are more interested in whether their power bills will continue to increase and the experts are having a great time arguing about this. The Community Campaign for Food in Schools is a community initiative aimed at promoting discussion about food in schools as a practical way to meet children’s needs and build communities that support families. One way to get action for hungry kids would be for the ‘Feed the Kids’ Bill to be debated in Parliament and go to Select Committee for submissions and comment from the public. So you think your house is cold and damp – you’re not the only one. Yet more evidence for the desperate need for quality housing comes from two recent sources. Statistics NZ General Social Survey report on Perceptions of Housing Quality where people in low incomes and those who are renting are most likely to be living in homes with “major problems” – too cold, too damp or too small. Christchurch is facing big housing challenges (but not a “crisis” according to Housing Minister Nick Smith). The number of people in insecure housing situations such as homelessness, over-crowding temporary or uninhabitable housing in Christchurch is estimated to have doubled to up to 7,400 people since the earthquakes. Drawing on information from social services, community housing providers and other community groups, the Government’s report on Housing Pressures in Christchurch leaves you wondering if the 7400 people homeless or hovering on the verge of homelessness will be top of the priority list in the scramble to build enough newhousing in the region? What price are we paying for a surplus? Budget 2013 announcements are starting in the lead-up to Budget Day on 16th May. Despite the continuing struggles of many in our communities, Finance Minister Bill English is focusing on “expenditure control” and returning the Government’s budget back to surplus. Alert readers will have noticed some of the impacts of this “expenditure control” in the paragraphs above. The CPAG Budget Breakfasts on Friday 17th May in Auckland, Wellington and Christchurch (more info from CPAG )will be one forum where an impressive line-up of commentators will be counting the costs to our children and the most vulnerable of this pursuit of s budget surplus. Some good news for one vulnerable group comes with the news that dementia funding will be receiving an additional boost in the coming Budget. Health Minister Tony Ryall and Associate Health Minister Jo Goodhew have announced $70 millionadditional funding or dementia-related services for older people. Presbyterian Support Northern is hosting a Social Workers in Schools (SWiS) conference again this year at the end of April and they are believers in the success of the SWiS service and through a commitment to Results Based Accountability they now have the evidence to support this conviction. Early assistance to help kids who are struggling with education, health or social development comes through having social workers right amongst the kids in their schools and surrounding communities and engaging with the families concerned. During May and June Community Housing Aotearoa and Te MatapihiMāori Housing network are holding seminars around the country to introduce the new strategic direction for CHA. Enduring Powers of Attorney - The Government is reviewing the impact of changes made to enduring powers of attorney laws that came into effect in 2008. The changes were aimed at providing greater protection to people setting up EPAs. Final date for comment is 30th June 2013, go to the online questionnaire on the MSD website. Check out KeepingItLegal’s monthly Legal Update to find out more about legislation affecting our sector. Kia ora koutou. Appreciate the newsletter. Great summary of the current key policy issues. Mauri Ora. Robyn Corrigan.